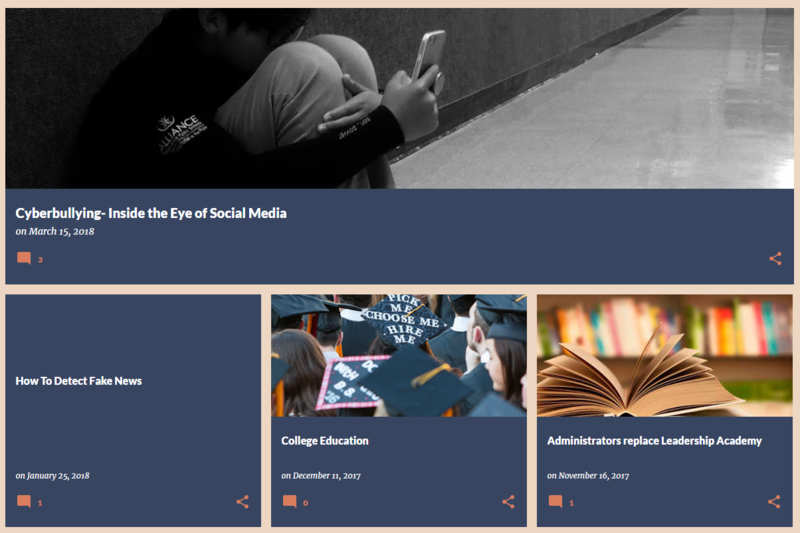 “Mom, no one blogs anymore.” That’s what my 8th grade daughter said when I told her I was working on a blogging unit for my middle school Journalism and Digital Media classes. Teaching middle school while parenting a middle-schooler creates conditions for feedback to my practice in the most profound of ways. For Gen-Xers like myself, blogs were part of our formative experience with the Web. And as a former journalist, blogs represented for me a seminal way free speech had been democratized by our connected world. I knew I wanted my students to use a digital platform to voice their opinions and—especially for students on the wrong side of the digital divide—I wanted my students to gain fluency with basic web publishing skills. Of course blogs are a natural addition to any media classroom. But, after speaking with my daughter, I did see her point. Blogs—the original “Web Logs” of old—do seem awfully archaic and “Web 1.0” to Generation Z. Young people ARE constantly expressing themselves online via newer platforms, of course. Even established bloggers are abandoning their WordPress accounts in favor of YouTube or Instagram Stories. While adults like myself might have a list of favorite blogs, my daughter is partially right. Kids don’t blog. But should they? And what role do blogs play in the classroom? When I first had my students create blogs several years ago, they enjoyed the process of setting up their pages. They customized the themes, played with gadgets and imported photos. But blogging is, in its essence, really just writing but with more bells and whistles. Stuff needs to go INTO a blog, and therein lies the challenge. What should go into a blog? What is the purpose of setting up a blog over writing in, say, a Google Doc which can actually be shared more easily with classmates? I will tell you, the first year I blogged with my students, I had grand visions of students updating their blogs regularly, linking to other blogs and generously commenting on others’ work. But the truth is, after writing a few posts, the blogs ended up going to seed. I had trouble incorporating regular blogging into the routine. I also didn’t know what to assess. 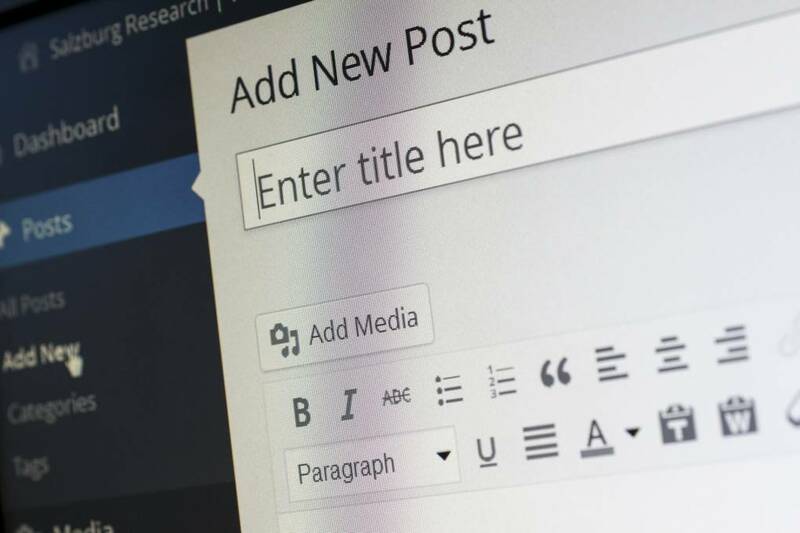 What makes a blog post good? I had more questions than answers, and resources on the Internet were no help. In truth, my students would not have the time in class to dedicate to a serialized posting regimen. Good blogs unfold like an epistolary novel over time, and it’s not something students can accomplish in one unit before moving on to another media project. Then it hit me. I was approaching it all wrong. A blog is merely a tool—a tool for publishing work, like a hardcover book, a newspaper or a magazine. But for whom are we publishing? It’s not the teacher; she can read work in any submitted form. It’s not the general public, who are unlikely to stumble upon a student blog. Students can read and critique each other’s work, but mostly, blogs are for parents and the students themselves. Now, I incorporate blogs in my classroom, but they serve as a portfolio of edited summative assignments. In my journalism and digital media classes, students publish completed newspaper articles, editorials, photo essays, podcasts, animations and other products. These small corners of cyberspace allow students to keep a detailed account of everything they have completed over the course of a year. Blogs have also become indispensable tools for parent conferences. I simply pull up the student’s blog and I’m able to showcase all of their work. In Teresa Wierzbianska’s class, students showcased their finished work in blogs. This is a screenshot of one of the students’ blogs. Here is my approach to setting up student blogs. At the beginning of the year, I have my students create Blogger accounts. They are free and easy to set up for anyone with a Google account. I create a lesson on saving images to their Google Drive and publishing a new post. I have them complete a simple assessment in which they write an introductory post about themselves that includes an imported image. Then I have them visit each others’ pages to comment. For this assessment, I grade them on two standards. Then we move on and revisit the blog once we have a finished product to publish. In your class, this could be a completed essay, a jpeg of an art piece or math problem, an infographic that depicts course content or any other creation. All formative work is done offline, but students know that if they want a grade for a summative project assignment, they need to publish it. My takeaway: If you want your students to journal, reflect, answer quick-write prompts or complete other formative or non-graded work, do so offline, on Google Classroom or on a shared class-blog. But a personal blog is a place to share out proudly. Cultivate a sense of pride in students’ work by allowing them time to create work they truly want to share when it is time to publish. Editor’s Note: Although Teresa wrote this post when she was still a classroom teacher, we are excited to announce that she has since joined the KQED Education team as our Program Manager for Student Media and Classroom Learning! Using her extensive experience with youth media-making, Teresa will be leading our efforts to engage youth on KQED Learn and developing our Youth Takeover of KQED News. Welcome, Teresa!